As Director of Early Childhood Administration, Aimee’s motto is to approach her job with passion, sincerity and treat all the children as if they were her own. “My passion for children is endless and to see them every day and watch them learn and grow is what I love most about my job,” she says. She provides top-tier professional administrative support to our renowned program, a safe space for children to learn school readiness and language skills while celebrating our culture, traditions, and history. 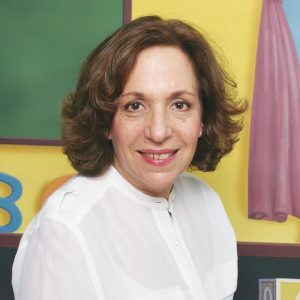 The community’s commitment to family and doing chesed is what she admires most about the community, and she makes sure those values are present every day in the classroom.